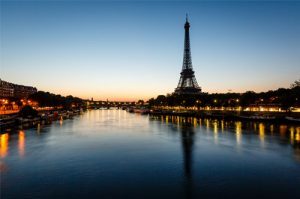 A few years ago France set itself a target of 100 million visitors each year by 2020. An ambitious target, but it looks like the country is on course to achieve it. Figures released by the UN show that last year 89 million tourists visited France, 6 million more than 2016. Despite a few tough years, tourists from all over the world are coming back in big numbers. The UN’s World Tourism Organisation have data that shows the globally tourism rose 7% in 2017, with France top of the most visited countries once again. Interestingly, Spain overtook the US as the world’s second most popular destination by a small margin. 7% of the GDP of France comes from tourism and the current government wants to increase this to 10% minimum. Given the recent ‘positive’ government change in the country, this could happen. In fact, British magazine The Economist voted France as its “country of the year” for 2017, with the government a key part of this decision.